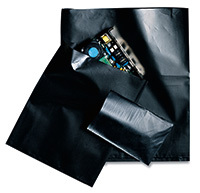 Protect circuit boards and other sensitive devices from harmful build-up of isolated static charges. Carbon added to low density polyethylene creates a strong, dense barrier that dissipates charges more effectively than standard anti-static poly bags. Opaque quality slows carbon deterioration to extend shelf life. Tested surface resistivity: 31,000 ohms/sq. in. 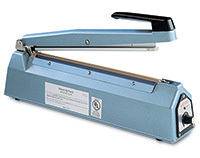 Heat sealers available. Call for details about custom sheet, tubular, or zipper styles.